This year, our assistant who has been working in the kitchen and garden will be moving into the classroom since our current assistant will be starting her own elementary program. We have begun the training process for our new assistant and it has been going very well! Our school has several factors which influence the roll of the assistant, and perhaps in small ways challenges the more mainstream AMI Montessori assistant role. The fact that we are a bilingal program, English and Dutch, and that most of our graduating children eventually go to Dutch programs puts a lot of pressure on the children to learn a conversational level of Dutch. Since I don't speak native Dutch (barely non-native Dutch) it is my assistant's responsibility to be the main model of Dutch language in our classroom. This means that the assistant in our room has to be putting a lot of language out there! The best way for this is not only through casual conversation, but through small group lessons and games. To train our assistants, in the past I put together an Assistant's Album and have been tweaking and supplementing it through the years. I wrote about it some years ago here. One change this year has been that I asked my assistant to make her own write ups of the games and lessons that she can lead. I think it is important for those instructions to be in her own words, and asked her to write the exact Dutch phrases that she will be using with the children. I was an assistant before I was a teacher and I remember having a very difficult time knowing exactly what exactly my role was. I think that approaching the assistant's role as a clear learning process from the get-go helps me to have a better assistant at my side, and helps my assistant see the importance of her presence in the room. Here are all the files we put in the Assistant's Album this year for anyone who thinks they might be useful. To cover everything in the document titled "Assistant's Training Points" took three sessions of two hours each. Every one of them very much worthwhile! Of course a disclaimer, I am not a trainer, and this was not taught to me in my training, but in my years of work in the classroom it has proved helpful to me and to all the (brave) women who have worked with me in my room. I'm so grateful that you shared this. I always struggle to adequately describe the assistant's role, or to convey the importance of it, in the classroom. I'm looking forward to poring over the files you shared later on. Thank you so much for sharing this - very helpful! Thank you so much for offering this! I am working to strengthen the assistants' connection to Montessori across our school. Very helpful information. If you have any questions about what's in there don't hesitate to email me. :) Good luck! This is such a wonderful summation of assistants' role in the classroom. It did not mention however assistants giving lessons to children. 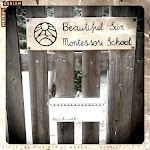 Is it true that they shouldn't provide montessori lessons? I have seen classrooms where assistants give lessons but I am not comfortable letting them do it. Any thoughts?